Prior to placing your order, it is important that you consider where the items will be placed, and any potential delivery obstacles. It is important that your furniture be able to be delivered through all entryways, elevators and up or down any stairways. Measure the height and width of your entryways, including staircases, hallways, elevator doors and interiors. Make note of any fixtures, decorative moldings and interior walls, ceiling heights, stairwells, and banisters that may be obstacles once items are inside. Consider the furniture to be delivered and determine if it can go straight through entryways or if it will have to go in at an angle or on end. Before purchasing products, be sure to consider windows, closets, heating vents, and electrical outlets in the room. We strongly recommend using our room planner to plot your furniture placement. 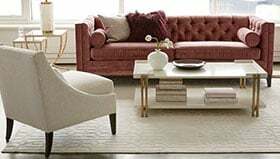 Be sure to include all items you plan to purchase, and include smaller items such as accent tables, benches, and ottomans as they have a space impact in any room. Measure your television and other components that you would like to place inside of your furniture. You should measure your television, or the television you intend to purchase, before you purchase the furniture you plan to house it in or on and have the outside dimensions available in width, depth, and height. This is very important as, for example a 48” television may be more than 48” wide overall. Our seasoned, professional design consultants take all the guesswork out of decorating and measuring. We're ready, willing, and more than able to help you. 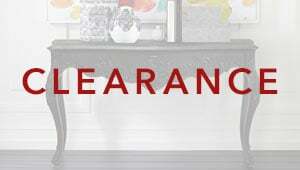 Visit your local Ethan Allen Design Center to receive our complimentary design service.